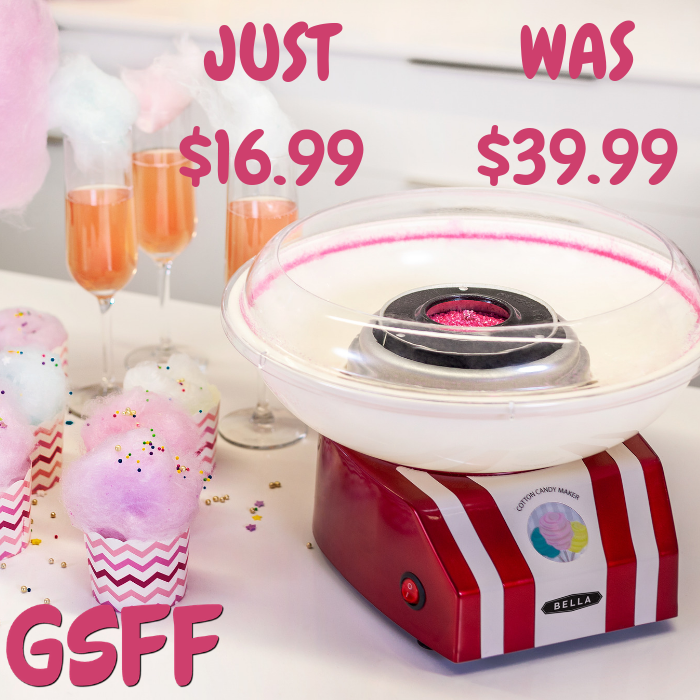 Bella Cotton Candy Maker Just $16.99! Down From $40! Head over to Walmart to score this Bella Cotton Candy Maker for just $16.99 down from $39.99 PLUS FREE store pick up or FREE shipping for orders $35 or more! The treat you love to share at the circus is coming to the comfort of your home with this easy-to-use BELLA Cotton Candy Maker. Simply add hard candies or granulated sugar and be amazed as this fun-filled tool transforms it into a soft candy cloud.